The Red Cross Battle of the Badges is coming! This means local fire, law enforcement and EMS personnel will be in a friendly battle to see who can recruit the most blood donors. Join these first responders in making sure blood is on the shelves before it is needed. 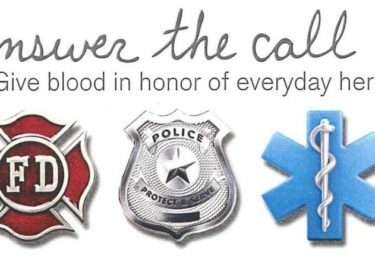 Donate blood August 9 from noon to 6 p.m. at the First Southern Baptist Church and help determine who wins the Liberal Battle of the Badges. To make an appointment, download the Red Cross Blood Donor App, visit Red-Cross-Blood-dot-org or call 1-800-RED CROSS.